The modern Harmony wall hung pan with soft close seat. 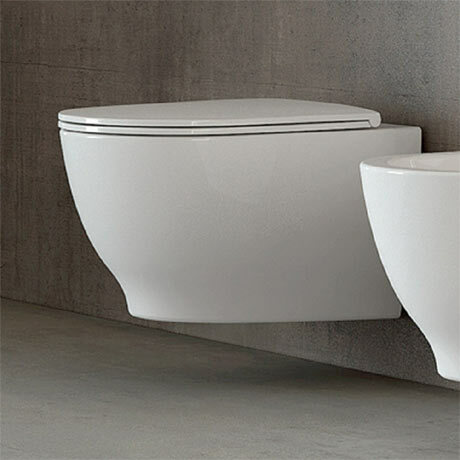 Transform your bathroom with one of our contemporary designer toilets from RAK ceramics. The supple curves and smooth edges of the Harmony wall hung pan will blend in seamlessly into any modern bathroom. Supplied with a quality soft close urea seat.